Check your cabinets. I am sure you have some sort of Calcium supplement in there.. maybe a multi-vitamin or specific calcium supplement, but if you are like most of us, you probably have at least one there. Now check again, do you have a magnesium supplement? Yes, I said magnesium. 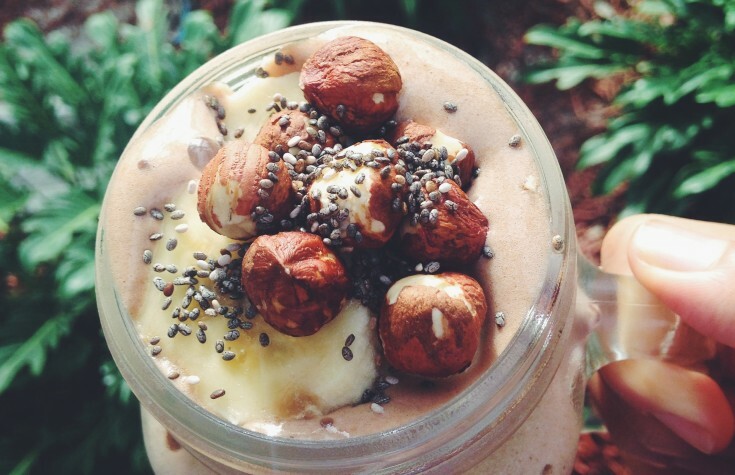 Did you know that without it calcium cannot be properly absorbed by the body? In fact, magnesium is so important that every organ in the body needs magnesium as it activates enzymes, boosts energy, keeps the immune system healthy and helps regulate and balance levels of many nutrients in our body. And all this time you – and that includes me! – didn’t know about it. Actually, an estimated 80% of Americans are magnesium deficient and that includes those who take magnesium supplements! Symptoms that you are magnesium deficient according to the University of Maryland, Medical Center are : low energy, headaches, weakness, anxiety, poor nail growth, irritability among others. Taking a high quality and proven to be efficient magnesium supplement is crucial so you’re certain that it is actually working and supplying the dose that your body needs. 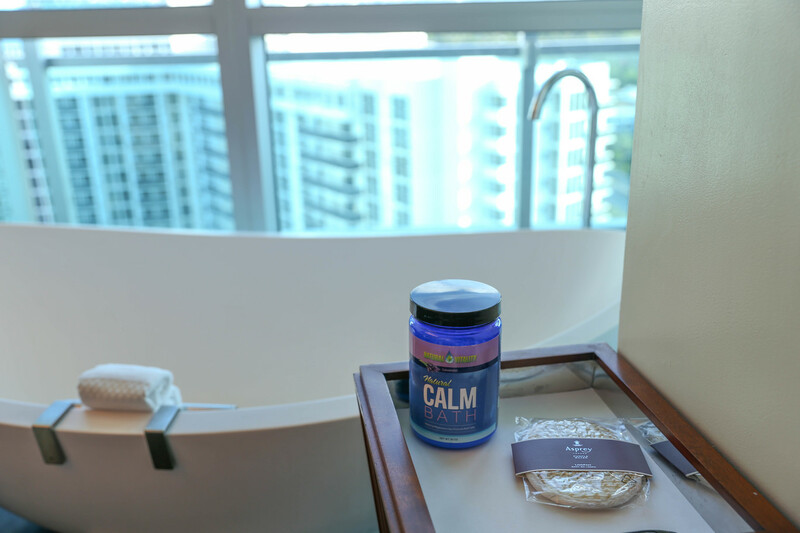 For the past few months, my husband and I started taking Natural Vitality’s Natural Calm Magnesium supplement and couldn’t be happier with it. You can see my previous review here. 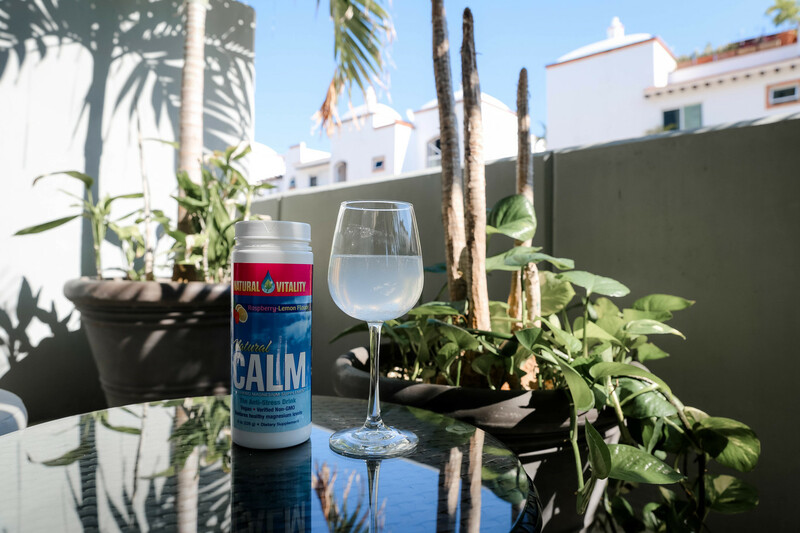 After using it for six months, I can say I truly love my Natural Calm because it not only supplies your magnesium needs but it also has a calming effect perfect to help de-stress as well as be a sleep aid. 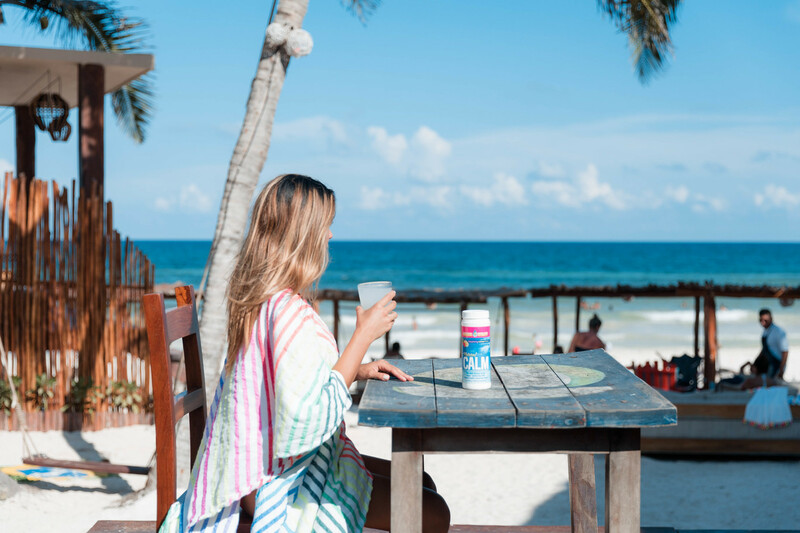 Since we started drinking it, our Natural Calm has traveled with us to many countries including Bolivia, Costa Rica, St Barths and even Mexico. 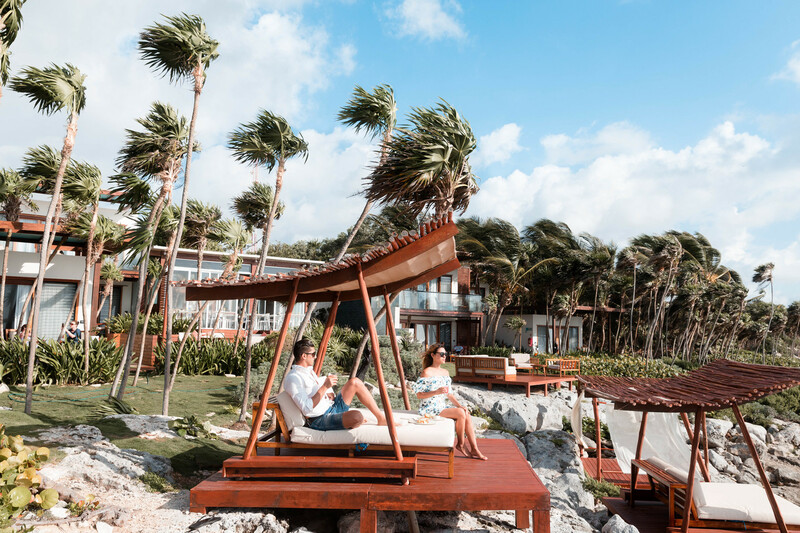 We enjoy drinking it either warm and cold either at night or during the day especially when you need to relax a little since it has a calming effect. All you have to do is mix 2 tsp. of Natural Calm to 2-3 oz of hot water, let it fizz and then fill the rest of the glass with either hot or cold water. It tastes great and it comes in many different flavors. Our favorite two are Raspberry Lemon and Sweet Lemon. As you start taking them, I would recommend starting with a smaller dose and work your way up. 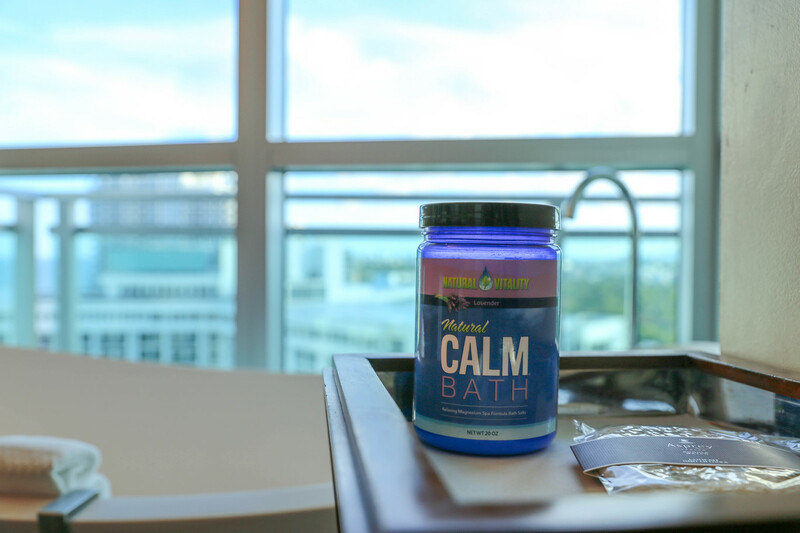 If you read my last review (here), you know I really wanted to try the Natural Vitality’s Natural Calm Bath product which is a unique combination of premium Natural Calm magnesium and pristine Brazilian gourmet sea salt. It helps detoxify and relax your body! We loved ours and it makes for a great excuse to take a nice relaxing bath! Disclaimer: Though this post is in partnership with Natural Vitality, as always, all opinions are my own. I had no idea Magnesium was so important! I checked my multi vitamin and it only has a little bit so I will be checking this out for sure! Yes it was the same for me!